Discover why women of all ages & cultures rave about this best selling book! First released in 2007 & now in its second revised edition, The Inner Goddess Makeover by Tanishka, The Moon Woman with over half a million followers of her lunar guidance is the must have handbook for every woman who wants to understand & empower every facet of herself! 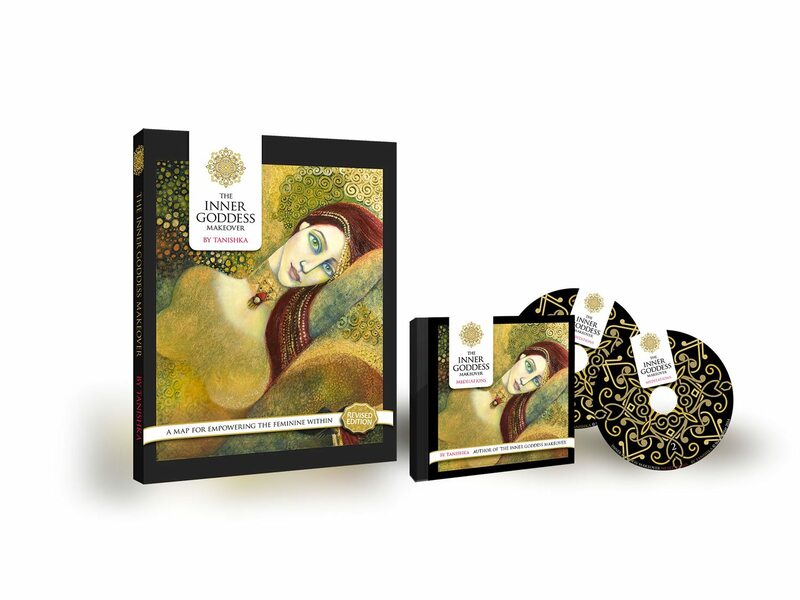 The perfect companion for this workbook are her Inner Goddess Makeover Meditations presented as a double CD disc set. Tanishka suggests listening to each of these guided inner journeys to meet your 7 inner chakra Goddesses as part of a sacred bathing rite at new moon before commencing each chapter to meet & understand each inner Goddess.